In this work, we propose a novel RF MEMS Capacitive Switch for lower Actuation voltage. The comparative studies of MEMS Switches have been performed based on (a) geometrical changes in structure model shape (Clamped-Clamped beam, flexure support beam, meander beam, meander flexure beam) and (b) material used (Copper, Aluminium and Gold). 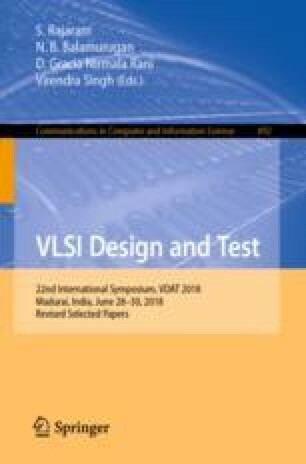 A Novel structure is proposed by optimizing the air gap between the bridge and electrode, incorporating holes in cantilever structure and by changing length and width of anchor which also lead to better RF performance of Switch. The beams are designed based on the Coplanar Waveguide with RO4003-FR4 as the substrate. The values thus obtained for the novel switch design gives very less Actuation Voltage of 7.5 V, very less Insertion Loss i.e. −0.065 dB and Isolation as −46.8 dB over the range of 30 GHz–40 GHz. The static and dynamic analysis of these MEMS switches is done using COMSOL Multiphysics and the RF simulations using Ansoft HFSS electromagnetic simulator based on finite element method (FEM).